HARISON has perfected each product to bring you the best of the best. 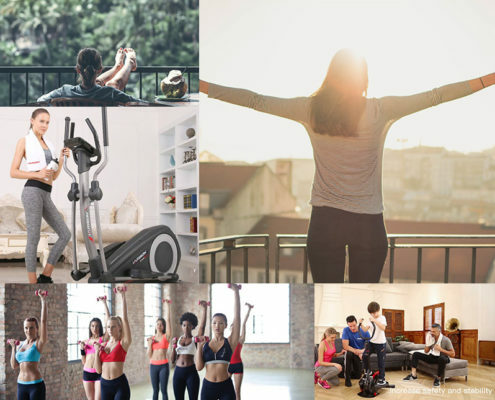 From our treadmills, Indoor Cycling Bike and magnetic bikes to our smart fitness bike, the Z-BIKE, HARISON designs quality equipment that will help you succeed. Our heritage is what makes us unique. We expanded our offerings into other home and commercial fitness equipment, including our treadmills, exercise bike and rower. At HARISON, we deliver the latest technology so you can achieve all your fitness goals. Through our Apps, we make sure you have what you need to succeed. From advanced features to sleek styling and gym-quality designs, HARISON is the perfect choice in fitness. Our mission at HARISON is to develop the fitness solutions that get the world moving. And we feel that it’s extremely important to practice what we preach. The culture at HARISON revolves around what our products stand for—active and healthy living. HARISON innovation begins with product design and conception and doesn’t end until our fitness equipment ships out of the warehouse. It’s essential to creating the best fitness equipment in the industry. The best way to know everything we can about our fitness products is to use them every day. Helping people live healthier lives is what we do, and the devotion to that goal begins with our employees. With over 20 years professional experiences, we use high standard of commercial-level configuration to produce home workout equipment at populist price. Our target is to provide customer the best of the best, easily and fully enjoy the gym experience at home at any time. To help people to get the fitness body and live a better life. © Copyright - HARISONFITNESS CO,LTD.